The cabinet has approved amendments to the Goa State Solar Policy 2017 where small and large prosumers (consumers and producers of solar power) will receive 50% subsidy instead of the earlier proposed interest-free loan that was be recovered in instalments. The subsidy will be of two parts — a 30% central share and 20% state share. The central share will be credited to the prosumer as per the guidelines of the ministry of new and renewable energy (MNRE) while the state subsidy will be released upon completing of six months of the solar power being injected into the grid. 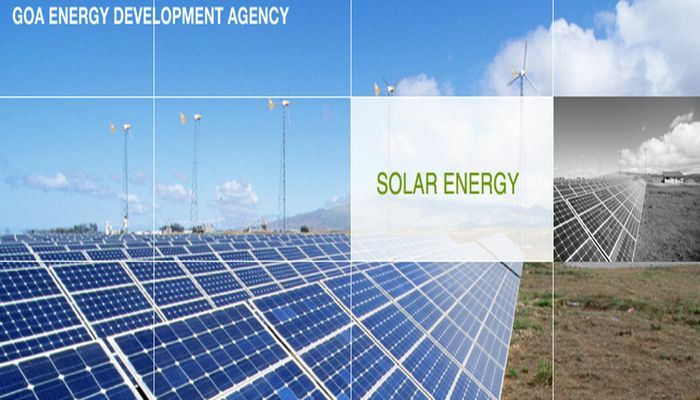 The subsidy will be 50% of the capital cost or the benchmark cost provided by MNRE or cost arrived at through tendering process by the Goa Energy Development Agency (Geda), whichever is lower. The government has also decided to reconsider the subsidy of 30% of capital cost for the standalone power plant which was supposed to be released by way of Rs 1 for every unit of power generated. This is a Agency News Feed.